OK, I confess, that’s not how it usually goes at all. Normally, I either grin and giggle and jump about and declare that you must read the entire series, or I get all stroppy and declare that it’s all rubbish and not worth your time in the slightest. 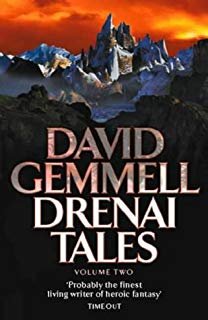 The Drenai series by David Gemmell, which I began reviewing here, is a rare exception, in that I’ve reached a point where the series becomes, to me, pretty much unbearable. Bloodthirsty violence balanced with careful characterisation really shouldn’t be this off-putting to me, and here, right here, smack in the middle of the second omnibus, is where I think “you know what? I’ve had enough”. The Waylander Era, first explored in Waylander, during which the Drenai nation evolves from a monarchy to an Empire administered by a ruling council, and the Nadir people way off to the north are a bunch of fragmented tribes who are easy pickings for their neighbours. The Druss Era, during which the career of the hero Druss the Legend occurs, and the great Nadir leader Ulric unites his people into a single nation, ready to take their rightful place on the world stage. Although the Drenai nation is in serious decline, a surprising victory at the fortress of Dros Delnoch in Legend, the first book in the Drenai series, saves them and preserves the nation for a little while longer. The Tanaka Era, at the beginning of which the mad emperor Ceska has led the Drenai nation to ruin, to the point where the Drenai can only be saved by an intervention from the Nadir under the leadership of Tanaka Khan – descendant both of Ulric and of the Drenai lords of Dros Delnoch. The Nadir finally become the predominant power on the world stage, and the story of the Drenai nation – in its present form – has run out, and some time after the events of The King Beyond the Gate Tanaka conquers the Drenai Empire in the name of the Nadir. Series of novels – especially in fantasy and SF fiction, but distressingly frequently on other genres as well – have a nasty tendency to turn sour partway through. The Reading Canary is your guide to precisely how far into a particular sequence you should read, and which side-passages you should explore, before the noxious gases become too much and you should turn back. There’s a sort of grim appropriateness about David Gemmell dying in the course of writing his own account of the Trojan War. Gene Wolfe is of the opinion that all writers should see themselves as successors to Homer; this might not be true of all of them, but it was certainly true of Gemmell, whose novels are almost all heavily influenced by the Iliad: they’re essentially all about using violent situations as a vehicle for characterisation and philosophising. Although Gemmell frequently writes about war, fighting, and conflict, a battle is never just a battle in a Gemmell story: it’s normally a metaphor for something. It’s a reasonably successful formula: what better way to make a character show their true colours than by throwing them into a violent situation? What more important subjects are there to address than death, mortality, war, patriotism, culture, the demands of one’s ancestors and the needs of the future – all of which can be highlighted through violence and war? 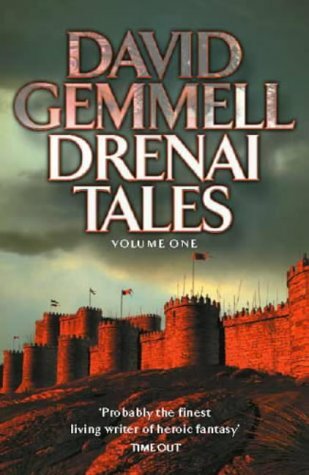 Gemmell’s primary work remains the Drenai series, a selection of modestly-sized fantasy novels, most of which stand alone perfectly happily. Let me emphasise that, actually, because this is one respect in which Gemmell should be praised unto the highest heavens: just about none of his novels break the 400 page mark, and many of the Drenai stories can be read on their own perfectly happily (although readers will probably get the most enjoyment out of the series if they read it in order of publication). 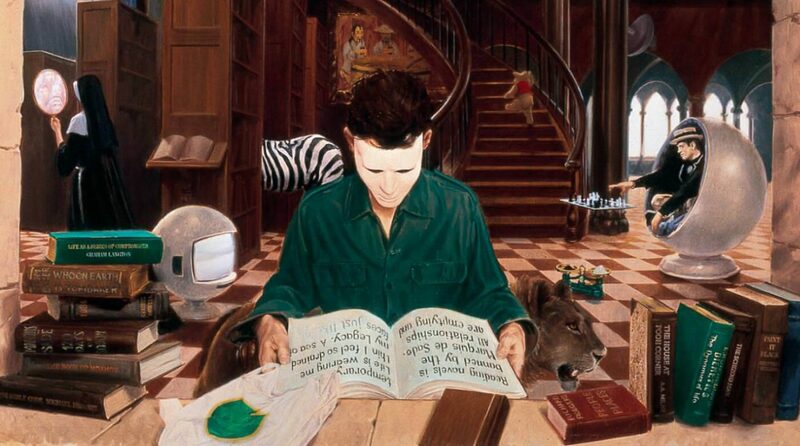 The flipside of this, of course, is that while since in most cases each book presents a self-contained story, there’s no need to read the less interesting ones – one may as well stick to the best of the best and leave the rest of the series behind, unless you particularly want to read the entire thing. What better subject for the Reading Canary?